"Your Input Is Our Output"
Would you prefer it, if The Garbage POD was kept separate from TGP Nominal? We already do this for Twitter feed but should our Facebook presence follow suit? Post by The Garbage POD. We recently received an email from Mike Garey from Feathered Angels Waterfowl Sanctuary in Arlington Tennessee, in response to featuring them & Buttercup the duck on Episode 37 of The Garbage POD. 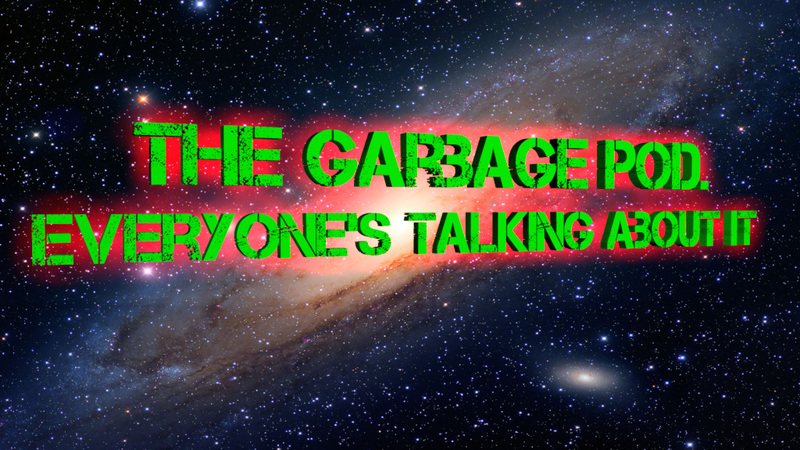 Hopefully, there will be a new addition to The Garbage POD family, very soon, in the shape of a spinoff podcast, dedicated to space. Whether it be Science Fact or Science Fiction, you will find it here. Before we launch, We have two challenges that we need the good people of the Podisphere to help us with. Firstly, what do we call it? TGP.....................? or something completely out there? Obviously it needs to be space related but the rest is completely up to you! Secondly, We need a logo, a mission patch, if you like, for the podcast. Over the years Space Mission Patches have been iconic, like the NASA "Meatball" insignia & the Apollo mission patches. ventures have created eye catching logos & we would love it if our listeners could come up with something just as iconic & striking. If you need some inspiration, here is a link to our good friends at SKYFORCE SPACE PATCHES where you will find a whole range of space paraphernalia. Send in your ideas for either the name of of the podcast, the mission patch or both, by email, using the mail icon at the top of the page or the contact form on the homepage. As you might know, I have a love, hate relationship with Arriva The Shires bus company & have had various run in's with them over the years. I don't drive, so I rely on public transport, which is not easy when public transport in the UK is generally very poor. Below, is recent correspondence via twitter between Arriva & myself. Please excuse the spelling in some of the tweets, I was pretty angry with them at the time. @arrivatheshires Why have you not made tempory stops avoiding the gridlock? I guess thats just too easy a solution! Is there a Letchworth triangle where buses enter & never return? If you like the work we do here, then why not buy us a pint, using the Donate button below.